For years we’ve enjoyed music from the Latin GRAMMY and Emmy Award-winning duo of Lucky Diaz and Alisha Gaddis. 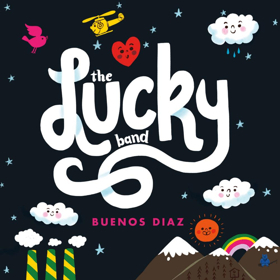 Now, after a decade of performing as Lucky Diaz and the Family Jam Band, they are reintroducing themselves to audiences as The Lucky Band. While their first album under this new moniker, Buenos Diaz, isn’t set to be released until April 5, The Lucky Band is giving fans a preview of their new bilingual music with the debut of videos for some of the tracks off the album. With that in mind, there’s no better way to celebrate my favorite day of the week than with the video for The Lucky Band’s new song, “Taco Tuesday.” Infused with a retro-dance vibe, kids will love moving and grooving while learning the taco dance! Take a look. 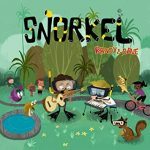 Veteran songwriters Randy Sharp and Dave Kinnoin return with their third delightfully silly and fun collaboration, Snorkel. Each song tells a story using lyrics that respect the children’s ability to listen closely. The stories may be about a lumberjack who gives his rather large dog a bath, a child who was just trying to be nice and let a squirrel inside, or an ode to the family cat. In with all of the silliness, Randy & Dave also cleverly weave important messages. In “Everybody’s Ignorant,” the emphasis is on the fact that we can’t all know everything while in “Why Not” the main character, rather than simply accepting that something is not possible, decides to use his inquiring mind to figure out “why not” instead. Randy & Dave don’t shy away from using difficult vocabulary on occasion, incorporating terms like hirsute, distortion and consternation into their songs. They provide all of the words and music from Snorkel here, along with a sample of each song so that they can be performed with or without the CD. Michael & the Rockness Monsters strip things down a bit for the track, “Beautiful Day,” before telling the story of a trip that Michael’s family took in, “Les Lumières de Paris.” Michael’s family’s exploits make another appearance on the album for the tune, “A Fish Named Dog.” Based on the real life experience of his daughter wanting a dog, this song tells the tale of Michael’s daughter being told instead of a dog, she could get a fish, and his daughter in turn naming the fish…dog. 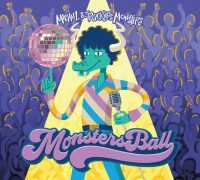 To get a small taste of what’s in store when you give Monster’s Ball a listen, check out the video for “A Fish Named Dog” below. If you are looking for fun, interactive music to use with that Kindergarten and up crowd, this album is for you! I spent this morning with a book rep looking through dozens upon dozens of new books from a wide variety of publishers. I couldn’t even begin to keep count of the number of book series that had the word STEM in them. Some of these series were really well done, and others, well, it was clear they were trying to jump on the buzzword bandwagon and stuff STEM terms into books that otherwise wouldn’t fit into that category. Hosted by Anny Dallshouse, this charming, animated video perfectly captures the infectious fun of the song making it interactive and easily singable. Take a look and see how many different ways you can be an engineer. Enjoy!